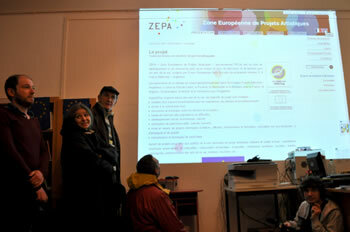 6.18pm : the web site www.zepa9.eu is revealed to the whole world ! 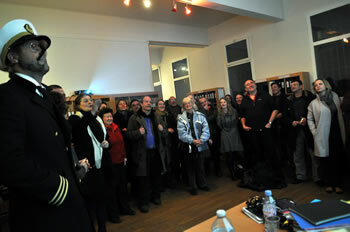 On January Friday, 29th 2010 at 6.18pm, in Sotteville-lès-Rouen, the ZEPA website www.zepa9.eu was launched, in presence of all the partners of the ZEPA network and with admiral Tousch (Fred Tousch, one of the acts of the Fish & Chips festival). This web site, conceived and developed by Le Fourneau’s multimedia team, is a fantastic work tool for all the partners of the ZEPA network, as well as an information space for the general public, a space of interaction, of emotions sharing, a contributory space to "write in many hands the open stories of a common book".